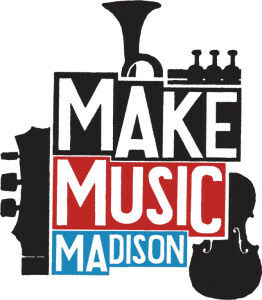 Make Music Madison is This Saturday! Make Music Madison,Â an annual day-long citywide, free, outdoor music festival held on the Summer Solstice, is this Saturday, June 21. Back for its second year, the festival will include 380 free public concerts across the city. Powered by Madison start-up Solstice, Make Music Madison will include all types of genres, ethnicities, and styles of music, both amateur and professional musicians, and will occur in various public and private spaces throughout the city. 900dpi – 900dpi eliminates the set-up and support hassle that comes with building websites as a freelance web designer or developer. BlueTipz – Ice fishing hardware startup with smartphone-connected alerting device that lets you catch more fish faster. CleMetric – CleMetric combines the power of streams computing, machine learning and visual discovery to develop advanced data analytics software for healthcare operations management and medical research. ConfPlus – ConfPlus provides event mobile solutions to enhance the user experience for all event participants. Deneb Outdoors – Deneb Outdoors is an outdoor brand that is creating the next generation of outdoor products that are high performing, sustainable and cost competitive. ivMD – Medical software startup that handles medical decision making for organ donors and other patient populations that are critically ill.
Metamodeling Analytics – We feature best-in-class analytics to significantly accelerate and enhance complex simulations. SELA Medical – SELA overcomes the limitations of current topical anesthetic applicators and offers healthcare providers a universal applicator with selectable spray options, enabling its effective use with both indirect and direct laryngoscopes as well as other airway visualization devices. ZeroNine – ZeroNine makes attorneys more effective at prior art search through a unique approach to search and various workflow improvements. Zuntik – Zuntik is an online calendar distribution tool that allows user to create, upload and manage virtual calendars and share them with their community. Madworks Coworking is also hosting an event on June 17 from 4-6:30pm to celebrate the co-working space’s 1 year anniversary and the kickoff of the summer accelerator (RSVP here). Fishidy,Â an online map-based fishing social network, is planning its next moves after raising $1.5 million in its latest round of funding. Formed in 2011, Fishidy launched its app in early 2013 and currently has more than 160,000 members nationwide. The app supplies users with map-based fishing tips, as well as a fishing social network. Per CEO Brian Jensen, the new funds will help Fishidy to expand membership as well as add more features and revenue channels. Additional info on Fishidy’s latest funding here. Mobile gaming company PerBlue has raised $3M in a Series A-2 funding round lead by Chicago based Lightbank. This funding marked Lightbank’s first investment in a Wisconsin based startup. PerBlue designs, develops, and publishes mid-core mobile strategy games for Android and iOS platforms. Their games have been played by over 10 million people in 200 countries around the world. For more information on the funding, see coverage on Xconomy and the Wisconsin State Journal.